Powerball Powercode Exposed — What the Heck Is This? Powerball Powercode: Do I Need It? Powerball is a lottery, we’re all familiar with and we love. Who wouldn’t want to become a millionaire and attempt to get some of the world’s biggest jackpots, right? Well, Powerball has taken to heart the task of giving players even more opportunities to win. Powerball Powecode is one such opportunity. 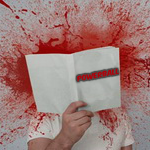 Powerball Powercode is a web and mobile-based promotional opportunity that enables Powerball players to win additional prizes. Its launch was announced in the end of October, 2015. The opportunity is available here. Open the web platform and enter the red number for the latest Powerball drawing. The official Powerball website features this number, in case you haven’t memorized it by heart. Log in using your Facebook account or email address. You’ll be taken to a new screen and asked to enter some information like your name, your age and your agreement with the Powercode terms and conditions. If you’ve already tried Powercode, you’ll be capable of skipping the step. Each entry gives you five spins of the Instant Prize Wheel. By spinning the wheel, you can get your hands on more grand prize entries and Amazon gift cards (ranging in value from five to 200 dollars). Five new wheels are available per hour. As you can see, being consistent with Powerball Powercode wheel spinning will increase your odds of winning a prize. Now that the rules are out of the way, it’s time to take a look at something much more exciting – the Powerball Powercode prizes. As already mentioned, you can win immediately by hitting an Amazon gift card on the Instant Prize Wheel. 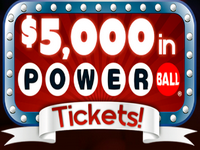 The grand prize is 5,000-dollars worth of Powerball tickets. Imagine having all of this money to spend on tickets! On top of that, you don’t have to pay anything for the opportunity. Powerball Powercode makes one other cool possibility available – the chance to exchange the grand prize for its cash value. If you don’t want to spend all of the money on Powerball tickets, you’ll get a juicy sum to dedicate to anything else you fancy. In addition, you can win Amazon gift cards – a very nice bonus that can be won by spinning the wheel. All of the grand prize winners are notified within 24 hours of the drawing. Obviously, the odds of winning the grand prize will depend entirely on the number of entries submitted for the respective drawing. If there are fewer other players, your odds of getting your hands on the 5,000-dollar prize will increase. 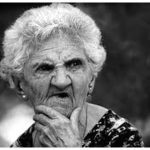 Powerball Powercode, just like other lotteries, is open for individuals aged 18 and wonder. This is where the good news ends. Unfortunately, non-US citizens can’t participate in Powerball Powercode at the time. The game is open to residents within the US, District of Columbia and Puerto Rico. There are a couple of states that can’t participate in the game. If you live in Alaska, Hawaii or Utah, you’re one of the unlucky individuals that can’t enjoy the numerous gift cards and the possibility to spend a large sum on Powerball tickets. Powercode is a pretty straightforward game that can be accessed via the game’s website or the official mobile app. Still, a few other questions about it have to be answered. After the grand prize winner is selected, that individual has 10 business days to claim the prize. If the person declines the prize (obviously such individuals do exist) or doesn’t make a claim within the 10-day period, two more winners will be chosen and given a chance to claim the prize. Instant Amazon gift cards can be claimed through the web-based Powercode website profile. The top menu features a My Prizes tab. If you’ve won a gift card, click on the option and visit the unclaimed prizes category. There, you’ll see a list of all the gift cards that you’ve won and haven’t used yet. Once you select and claim a card, you will get a confirmation by email. The email will typically become available within 24 hours of making the claim. How about the number of prizes? Obviously, there’s only one grand prize per Powerball drawing. Once the red number changes, a new grand prize will become available. The number of instant prizes and gift cards depends on the currently available opportunities. So far, players can’t complain about having a number of wonderful instant prizes to aim at. Conclusion: Is Powerball Powercode a Scam? Chances are that you’ve already crossed your hands defensively, saying that Powercode is too good to be true. Surely, such an opportunity is obviously a scam! You don’t have to spend any money and you can win up to 5,000 dollars in cash. Is that even possible? Our extensive research reveals that Powercode isn’t a scam, but rather a legitimate opportunity. Powercode is the result of collaboration between Powerball, Shoutz and the Multi-State Lottery Association (MUSL). All of these entities are legitimate and they’ve created a 100 percent genuine opportunity for players to win something exciting. But (you knew there was a “but” coming!) there’s a catch. It comes in the form of individuals presenting themselves as Powercode representatives on social media like Facebook and Instagram. 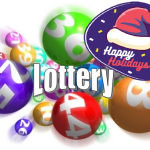 If you’re ever contacted by such an individual remember that official lotteries don’t reach out to players. Players are the ones that have to undertake the necessary steps to win. So, this is Powercode in a nutshell. It’s a fun opportunity that doesn’t cost you anything. Though it’s not open to international players, all of you lucky people in the US should give it a try. It’s been Coming Back for a year since it ended the end of March 2017. I had won a Papa John’s gift card after thousands of entries/spins. Prize kept saying Processing until I finally emailed the contest administrator. After some back and forth tips on refreshing site feed etc the prize NEVER processed and was never delivered or awarded. I now avoid the contest. As near as I can tell, this is a scam. Have spun over 10000 times, have gotten nothing. Know what the odds of that are? This is a joke. Just another scam. I totally agree, I had like 4800 entries it said and not one damn time did it land on anything other than 1 entry or 5 entries or 10, never won crap. Thank you. And thanks for playing Shoutz “Powercode” game. for prizes with a value greater than $600 US). My date of birth is. This seems a bit sketchy! I never received an email saying that I won an Applebees gift card a few days ago. Your site states that it was delivered.